Sri Lanka has made progress after the civil war and apart from being blessed with plenty of beautiful tourist attractions, it received one its major blessings this 2015. This is because Pope Francis chose to visit the country together with the Philippines as part of its weeklong Asian tour. 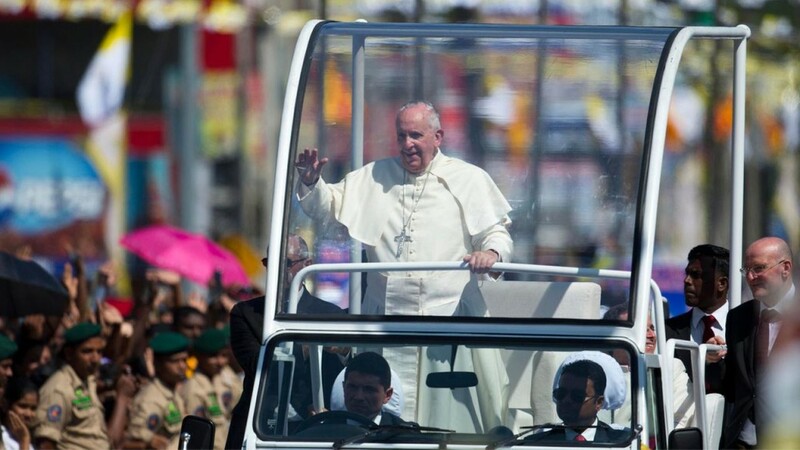 As the head of the Catholic Church, the Pope is highly regarded anywhere in the world. He is famous for his practical views on the various issues that concern humanity. While in Sri Lanka, Pope Francis made a major step that recognized the country’s first saint. He canonized Joseph Vaz and cited the three main reasons why this man deserves the recognition. Firstly, Vaz was an exemplary priest as he made Jesus Christ known and loved everywhere through his teachings to people. Secondly, Vaz greatly inspired the Church in Sri Lanka by welcoming everyone regardless of race, religion, tribe or status. “As the life of St. Joseph Vaz teaches us, genuine worship of God bears fruit not in discrimination, hatred and violence, but in respect for the sacredness of life, respect for the dignity and freedom of others, and loving commitment to the welfare of all,” the Pope said. Born in India in 1651, Joseph Vaz spent 23 years ministering to the Catholic community. During his time when the country was still ruled by the Dutch, Vaz worked secretly in reaching out to the ethnic groups to avoid being persecuted. His canonization is seen as the Pope’s firm belief that more models of holiness are needed today without the need for a technical and time-consuming process of confirming miracles. In the Catholic church, a traditional rule before a person is canonized is the showing of proof of two inexplicable miracles. In the case of Vaz, the Vatican did not confirm a second miracle attributed to the intercession of Vaz. Pope Francis also called for unity and reconciliation during the mass he celebrated in Colombo. Currently, Catholics comprise slightly more than six percent of the country’s population. They are considered the biggest Christian denomination. Another place in Sri Lanka blessed to welcome the Pope is the Our Lady of Madhu Shrine. The Pope’s visit is said to be the first by the head of the Catholic church in the northern Tamil territory badly affected by the 25-year-old civil war. While there, Pope Francis called for reconciliation between the Sinhalese and Tamils as well as people with different faiths.